There are three dozen free writing contests in January. They cover the full range of genres, from debut mystery novels to poetry. In addition to the prestige of winning a contest, a few of the monetary prizes this month are substantial. Tony Hillerman Prize. Sponsored by St. Martin's Press. Genre: Debut mystery novel set in Southwest. Prize: $10,000 advance against royalties and publication, Deadline: January 2, 2017. Read guidelines HERE. Christopher Doheny Award. The award recognizes excellence in fiction or creative nonfiction on the topic of serious physical illness. The award is presented annually for a completed manuscript that has not yet been published. Prize: $10,000. Deadline: January 2, 2017. Nuff Said Publishing's annual Speculative Writing Contest to Promote Diversity (SWCPD). Restrictions: The contest is open to United States residents. Genre: Speculative fiction less than 10,000 words. Prize: $100 and publication in anthology. Deadline: January 3rd, 2017. Texas Institute of Letters Literary Awards. Restrictions: Entrants must have resided in Texas for at least 2 consecutive years, or have been born in Texas. Genre: Book (published). 11 different categories. Prize: $6,000. Deadline: January 3, 2017. John F. Kennedy Profile in Courage Essay Contest is sponsored by the John F. Kennedy Library Foundation. Restrictions: The contest is open to United States high school students in grades nine through twelve attending public, private, parochial, or home schools; US students under the age of twenty enrolled in a high school correspondence/GED program; and US citizens attending schools overseas. Genre: Essay on an act of political courage by a US elected official who served during or after 1956. Prize: The first-place winner receives $10,000 comprised of a $5,000 cash award and $5,000 from John Hancock. The second-place winner receives $1,000. Up to five finalists receive $500 each. Deadline: January 4, 2017. Stop the Hate: Youth Speak Out Essay Contest. Stop the Hate® is designed to create an appreciation and understanding among people of differing religions, races, cultures and socioeconomic backgrounds. Genre: Essay, 500 words. Restrictions: Northeast Ohio 6-12th Graders. Prize: $40,000. Deadline: January 6, 2017 for Grades 6-10, January 20, 2017 for Grades 11-12. Japan Center-Canon Essay Competition. The aim of the Japan Center Essay Competition is to promote awareness and understanding of Japan in the United States and to help young Americans broaden their international horizons. Genre: Essay. Contestants should write, in English, one or more aspects of Japan including art, culture, tradition, values, philosophy, history, society, politics, business, and technology in relation to their personal views, experiences, and/or future goals. (Contestants do not need to have any experience in visiting Japan or studying Japanese. Prize: Best Essay Award in the High School Division: 1st Place: $3,000 and a Canon camera, 2nd Place: $1,500 and a Canon camera, 3rd Place: $750 and a Canon camera; Best Essay Award in the College Division: $3,000 and a Canon camera; Uchida Memorial Award: $1,000 and a Canon camera; Merit Award: $200 (each) for up to five awards. Deadline: January 8, 2017. New York Times "Win a Trip with Nick Kristof" Contest. Genre: Essay (700 words max) on why you should win this prize. Prize: A reporting trip in the developing world with New York Times columnist Nicholas Kristof. Restriction: Open to US college and graduate school students. Deadline: January 8, 2017. The Maureen Egen Writers Exchange Award introduces emerging writers to the New York City literary community. The prestigious award aims to provide promising writers a network for professional advancement. Since Poets & Writers began the Writers Exchange in 1984, 85 writers from 33 states and the District of Columbia have been selected to participate. Restrictions: Open to Maine residents. Genre: Poetry and Fiction. Prize: A $500 honorarium; A trip to New York City to meet with editors, agents, publishers, and other writers. All related travel/lodgings expenses and a per diem stipend are covered by Poets & Writers. Winners will also give a public reading of their work; and One-month residency at the Jentel Artist Residency Program in Wyoming. Deadline: January 9, 2017. For guidelines click HERE. Moving Words Poetry Contest. Restrictions: People who live within the DC Metro transit area (the Northern Virginia counties Arlington, Fairfax, and Loudoun and the cities Alexandria, Fairfax, and Falls Church; the District of Columbia; and the Maryland counties Montgomery and Prince George's) and who are over 18. Genre: Poetry. Prize: $250 honorarium. Deadline: January 12, 2017. The Ellen Meloy Fund for Desert Writers was established in 2005 to honor the memory of Ellen Meloy. The Fund provides support to writers whose work reflects the spirit and passions embodied in Ellen’s writing and her commitment to a “deep map of place.” Ellen’s own map-in-progress was of the desert country she called home. Genre: Only literary or creative nonfiction proposals will be considered. No fiction or poetry proposals will be reviewed. Prize: $3,000. Deadline: January 15, 2017. French-American Foundation Translation Prizes. Genre: Book - best English translation of French in both fiction and non-fiction. Prize: $10,000. Deadline: January 15, 2017. Lee Bennett Hopkins Promising Poet Award. Restrictions: Open to poets who have published no more than two books of children's poetry. Genre: Children's poetry (for children and young adults up to grade 12). A book-length single poem may be submitted. The award is for published works only. 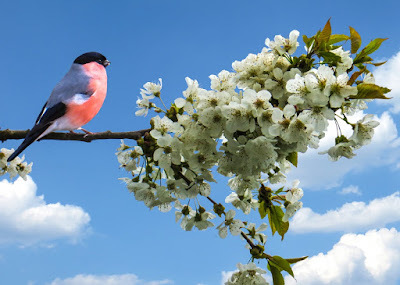 Poetry in any language may be submitted; non-English poetry must be accompanied by an English translation. Poetry copyrighted from 2016 to 2018 may be submitted. Prize: $500. Deadline: January 15, 2017. Women Artists Datebook. Restrictions: Women. Genre: 4 poems. Peace and Justice. Prize: $70. Deadline: January 15, 2017. See more details HERE. VCU Cabell First Novelist Award. Genre: First novel published July–December 2016. No self-published books. Prize: $5,000. Deadline: January 14, 2017. Posen Society of Fellows Awards. Genre: Jewish-themed dissertation. Prize: $40,000 fellowship. Deadline: January 15, 2017. Stacy Doris Memorial Poetry Award. Genre: Poem, 3-10 pages long, that demonstrates a "truly inventive spirit." Prize: $500. Deadline: January 15, 2017. 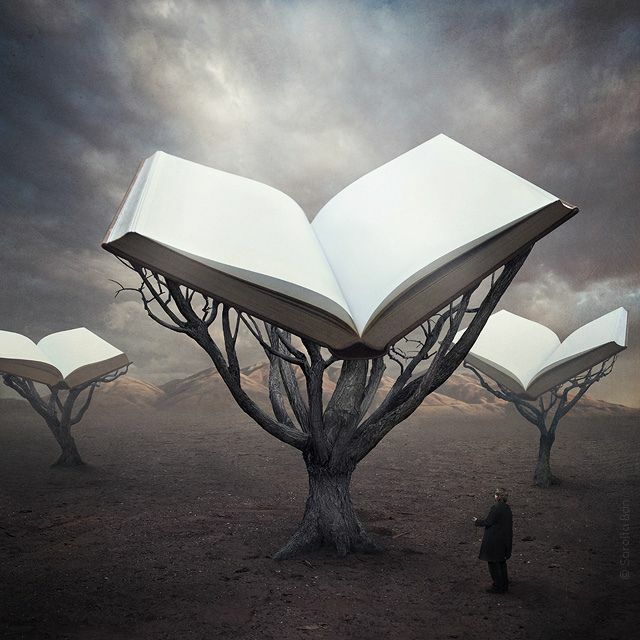 Bethesda Literary Festival Essay and Short Story Contest. The Bethesda Urban Partnership & Bethesda Magazine have partnered to honor local writers at the Bethesda Literary Festival held April. Genres: Essays and short stories. Restrictions: Residents of Washington, D.C., Maryland and Virginia are eligible. Prizes: First Place: $500 and published in Bethesda Magazine. Second Place: $250. Third Place: $150. Honorable Mention: $75. Deadline: January 20, 2017. For more details click HERE. James White Award. Restrictions: Non-professional authors from anywhere in the world. 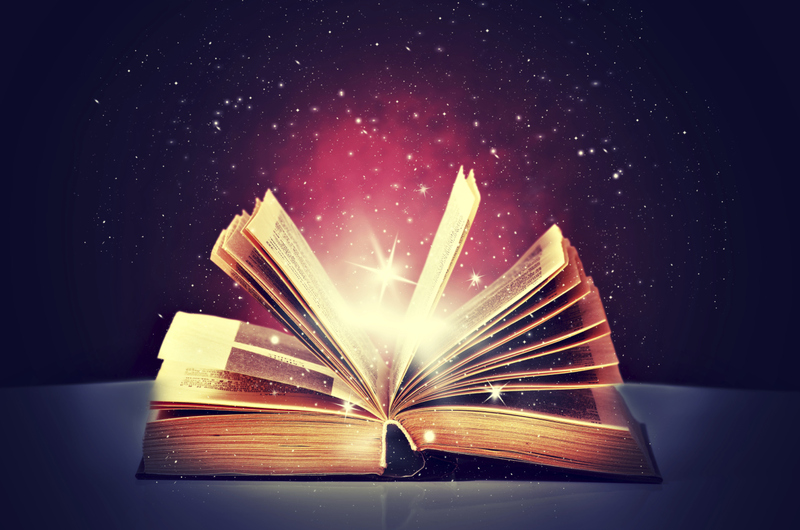 Genre: Previously unpublished science fiction stories of 6000 words or less, but the stories must be written in English. Prize: £200 plus publication in Interzone. Deadline: January 20, 2017. IGGY/Litro Young Writers' Prize. Restrictions: Open to 13–18 year olds. Genre: Short story. The theme is Memory. Prize: £1,000 and publication. Deadline: January 20, 2017. Read submission guidelines HERE. Bodley Head/Financial Times Essay Prize. Restrictions: Open to authors aged 18-35. Genre: Scholarly or journalistic essay on a topic of your choice. 3,500 words max. Prize: £1,000, e-publication with Bodley Head, a mentoring session with the Financial Times/Bodley Head editorial staff, a subscription to FT.com, and a selection of books from Bodley Head. Deadline: January 29, 2017. Jerry Jazz Musician Fiction Contest. "The Jerry Jazz Musician reader has interests in music, social history, literature, politics, art, film and theater, particularly that of the counter-culture of mid-twentieth century America." Genre: previously unpublished work of short fiction. Prize: $100.00. Deadline: January 31, 2017. College Undergraduate Poetry and Florence Kahn Memorial Award. Restrictions: Undergraduates working toward a degree in an accredited U.S. college or university. Genre: Poetry. Prize: $500. Deadline: January 31, 2017. Helen and Kurt Wolff Translator's Prize. The annual Helen and Kurt Wolff Translator's Prize is awarded each spring to honor an outstanding literary translation from German into English published in the USA the previous year. Genre: Published fiction or non-fiction, may include: novels, novellas, short stories, plays, poetry, biographies, essays and correspondence. Prize: $10,000. Deadline: January 31, 2017. 14th Michael E. DeBakey Medical Student Poetry Awards. Restrictions: Only undergraduates currently enrolled in accredited United States medical schools are eligible. Genre: Poetry. Prize: $1,000 top prize. Deadline: January 31, 2017. Note: Winners do not retain copyright. The Danuta Gleed Literary Award for best first collection of short fiction in the English language was initiated by John Gleed in honour of his late wife to promote and celebrate the genre of short fiction, which she loved. Restrictions: Canadian residents only. Prize: A $10,000 prize will be awarded for the best first collection of published short fiction in the English language. Two finalist will also be awarded $500 each. Deadline: January 31, 2017. Imagine Little Tokyo. Little Tokyo Historical Society (LTHS) seeks fictional short stories in Japanese or English for its second annual “Imagine Little Tokyo” writing contest. The setting of the story should be in Little Tokyo, Los Angeles, CA– either past, present or future. Prize: $600. The winner of the youth division (18 or younger) will receive $400. Deadline: January 31, 2017. Caine Prize for African Writing. Restrictions: Open to writers born in Africa, or nationals of an African country, or with a parent who is African by birth or nationality, Genre: Short fiction (published). Prize: £10,000. Deadline: January 31, 2017. Nelson Algren Literary Awards is a short story contest sponsored by the Chicago Tribune. This contest is open to residents of the United States. All entries must be: fiction, less than 8,000 words, double spaced, written in English. Prize: One grand prize winner will receive $3,500. Four finalists will each receive $1,000. Five runners-up will each receive $500. Total value of all prizes: $10,000. Deadline: Closing date January 31, 2017. Walter Rumsey Marvin Grant. Restrictions: Open to authors under 30 years of age who have not had a book published. Applicant must have been born in Ohio or have lived in Ohio for a minimum of five years. Genre: Short fiction and creative non-fiction. Prize: $1,000. Deadline: January 31, 2017. Words and Brushes. Genre: Fiction inspired by artwork. Prize: $300 top prize. Deadline: January 31, 2017. El Chapo Review Essay Contest 2017. Genre: Creative non-fiction. Prize: $500 top prize. Deadline: January 31, 2017. Outlet Publishing Young Writers' Short Story Competition. Restrictions: Open to ages 16-25, UK residents only. Genre: Short story. Prize: £150 top prize. Deadline: January 31, 2017. Publishizer. Genre: Fiction and nonfiction book proposals for LGBTQ writers, or for stories with LGBTQ themes and characters. Proposals must be 1,000 words. Prize: $2000 and publication. Deadline: January 31, 2017. January is cold, dark, and dismal. What better way to warm up your writing fingers than with a cozy conference? This month features conferences all over the US, from New Jersey to San Francisco. If you have a completed manuscript, there are conferences with pitch sessions, as well as the opportunity to informally chat with agents and editors. There are also workshops, readings, and discussions. TMW January Jumpstart XVII. Jan 6 - 8, 2017, Oak Ridge, TN. Parallel sessions of workshops on fiction, poetry, nonfiction, writing for young people, editing, storytelling, self publishing, oral history, keeping series books fresh; panel discussions/readings; Saturday banquet. Faculty includes banquet speaker Sonja Livingston; Michael Knight, Jesse Graves, Courtney Stevens, Denton Loving, Beverly Connor, Bob Mayer, Saundra Kelley, Robert Gipe, Judy DiGregorio, Cathy Kodra. Winter Poetry & Prose Getaway. January 13 - 16, 2017, Galloway, New Jersey. Workshops in poetry, fiction, and creative nonfiction, as well as craft talks, one-on-one tutorials, featured readings, and open mics. The faculty includes poets Stephen Dunn, Laura McCullough, Sharon Olds, and James Richardson; fiction writers Joyce McDonald and Carol Plum-Ucci; and creative nonfiction writer Barbara Hurt. Tuition, which includes some meals, ranges from $490 to $690, depending on the workshop; lodging is not included. Poets and Writers Live. January 14 - 15, 2017, San Francisco, CA. The conference features publishing panels, craft talks, readings, multimedia performances, and a book and magazine fair, as well as small-group sessions in poetry, fiction, and creative nonfiction. Ticket holders also receive one free drink at a cocktail reception at the conference hotel on Saturday night. Participating writers include poets Jane Hirshfield, Joyce Lee, Ishmael Reed, Barbara Jane Reyes, Kay Ryan, Solmaz Sharif, C. Dale Young, Javier Zamora, and Matthew Zapruder; fiction writers Grant Faulkner, Jonathan Franzen, Bich Minh Nguyen, and Benjamin Percy; and nonfiction writers Sarah Manguso and Susan Orlean. U.S. poet laureate Juan Felipe Herrera will deliver the keynote. Participating publishing professionals include agents Anna Ghosh (Ghosh Literary), Jennifer March Soloway (Andrea Brown Literary Agency), and Danielle Svetcov (Levine Greenberg Rostan Literary Agency); and editors Jordan Bass (McSweeney’s), Rusty Morrison (Omnidawn Publishing), Ethan Nosowsky (Graywolf Press), and Steve Wasserman (Heyday Books). The cost of the two-day conference is $175 before December 4 and $250 thereafter. Key West Literary Seminar. January 16 - 20, 2017, Key West, Florida. The seminar offers readings, lectures, and conversations with poets, fiction writers, and nonfiction writers. The 2017 theme is “Revealing Power: The Literature of Politics.” The writers' workshop offers workshops and craft discussions for poets, fiction writers, and nonfiction writers. Faculty includes Jennine Capó Crucet, Billy Collins, Marie Myung-Ok Lee, Kristen-Paige Madonia, Michael Maren, Daniel Menaker, Kate Moses, Rowan Ricardo Phillips, and Dani Shapiro. Eckerd College Writers’ Conference. January 14 - 21, 2017, St. Petersburg, FL. Workshops, roundtables, panel discussions, Q&As, readings book signings, and receptions. The faculty includes poets Richard Blanco, Denise Duhamel, Major Jackson, and Peter Meinke; fiction writers Lan Samantha Chang, Andre Dubus III, Fabienne Josaphat, Laura Lippman, Stewart O’Nan, Les Standiford, Sterling Watson, and David Yoo; and creative nonfiction writers Ann Hood and Helen Wallace. Palm Beach Poetry Festival. January 16 - 21, 2017, Delray Beach, Florida. The faculty includes poets David Baker, Tina Chang, Lynn Emanuel, Daisy Fried, Terrance Hayes, Dorianne Laux, Thomas Lux, Carl Phillips, Martha Rhodes, and Charles Simic. $895 includes all events, one gala seat; $495/auditor. Accepted participants may schedule a one-on-one conference at additional cost. Digital Book World Conference + Expo, New York City, Jan. 17– 19, 2017. This is the premier event for digital publishers and content providers of all sizes and business models. Here are two new agents seeking clients. 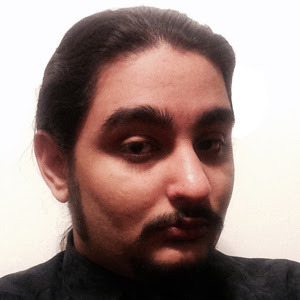 Maximilian Ximenez (L. Perkins Agency)is actively pursuing clients for both fiction and nonfiction works. In fiction, he is acquiring science fiction, fantasy, horror, and thrillers, particularly cyberpunk and neo-noir as well as books with a uniquely deconstructive bent. For nonfiction, Maximilian is seeking popular science, true crime, and books pertaining to arts and trends in developing fields and cultures. 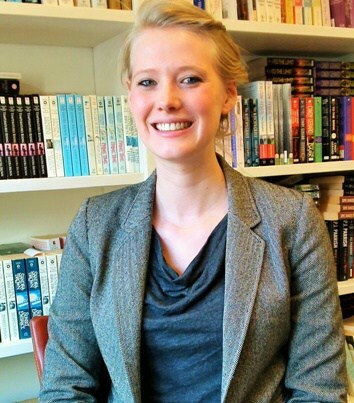 Hannah Fergesen (KT Literary) is looking for young adult and middle-grade, as well as some select adult fiction. About Maximilian: Maximilian Ximenez grew up within the New York publishing industry. Prior to joining the L. Perkins Agency, he worked at Blizzard Entertainment, creators of the popular Warcraft, StarCraft, and Diablo video game franchises. He is a strong believer in publishing and narrative as a central pillar of franchise and transmedia development. What he is seeking: Maximilian is actively pursuing clients for both fiction and nonfiction works. In fiction, he is acquiring science fiction, fantasy, horror, and thrillers, particularly cyberpunk and neo-noir as well as books with a uniquely deconstructive bent. For nonfiction, Maximilian is seeking popular science, true crime, and books pertaining to arts and trends in developing fields and cultures. How to submit: For submissions, please send an email to maximilian [at] lperkinsagency.com with your bio, a brief synopsis, and the first five pages of your book or novel in the body. About Hannah: Before settling in New York City, Hannah worked and went to school in Denver, where she obtained her degree in Writing for Film and Television. Opportunities in New York presented themselves before she could run off to LA, and she course-corrected her career toward publishing, a dream of hers since childhood. 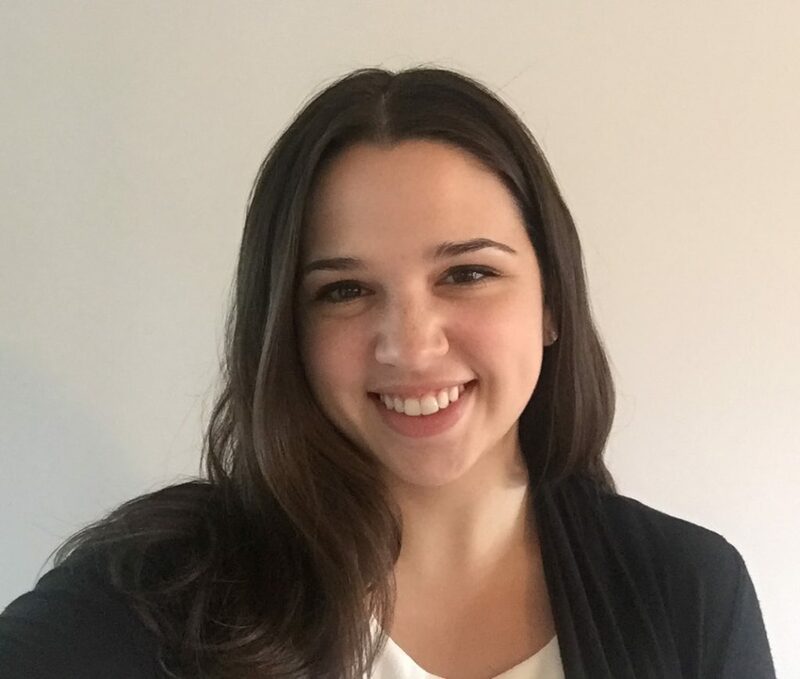 After stints as a remote intern for a well-known agent, a bookseller at the famous Books of Wonder, an intern at Soho Press, a literary assistant at Trident Media Group, and a freelance editor working with well-known authors, Hannah joined KT Literary in 2016. Hannah is a proud geek and TV junkie, with an all-consuming love for Doctor Who, Harry Potter, and anything created by Joss Whedon. What she is seeking: I’m looking for young adult and middle-grade, as well as some select adult fiction. In young adult and middle-grade, I’m looking for speculative and contemporary stories, running the gamut from fantasy, mystery, horror, and magical realism to family-oriented dramas, historical fiction, and stories dealing with contemporary issues, such as mental health or addiction. I’m also very interested in finding a good, twisty mystery or suspense. If it’s historical or has a speculative bent, even better. I am into contemporaries with light science fiction elements, as well as pure science fiction with politics and an edge, or a bold reimagining of another time. I’d love to see historical fiction in both young adult and middle-grade. In adult, I want weird and/or lyrical fantasies and speculative mysteries. I’d also love something with a good twist, like DARK PLACES by Gillian Flynn (GONE GIRL less so, but the idea is the same). How to submit: Send queries to hannahquery@ktliterary.com. The subject line of your email should include the word “Query” along with the title of your manuscript. Queries should not contain attachments. If we like your query, we’ll ask for the first five chapters and a complete synopsis. For our purposes, the synopsis should include the full plot of the book, including the conclusion. Chuck Sambuccino, the editor of the Guide to Literary Agents, is running another "Dear Lucky Agent" contest. (There are two this month.) These contests allow writers to submit one page of their manuscript to be judged by an agent. The genre for this contest is historical fiction. There is no entry fee. Winners of the contest have a more than good chance of getting representation. 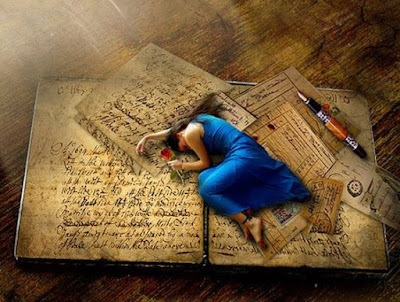 It's good to enter contests, not just because you may win one, but because they force you to write short summaries and synopses, and to polish your first few pages until they shine. These are usually the only pages an agent will see before making a decision. The contest deadline is December 31, 2016. CLICK HERE for more details. Welcome to the 29th (free!) “Dear Lucky Agent” Contest on the GLA blog. This is a FREE recurring online contest with agent judges and super-cool prizes. Here’s the deal: With every contest, the details are essentially the same, but the niche itself changes—meaning each contest is focused around a specific category or two. 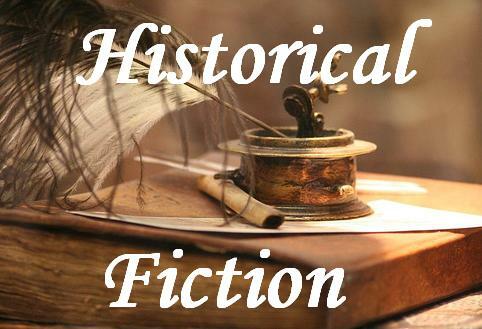 If you’re writing historical fiction, then this 29th contest is for you! The contest is live through end of day, Saturday, Dec. 31, 2016. The contest is judged by agent Elise Erickson of the Harold Ober Agency. E-mail entries to dearluckyagent29@gmail.com. Please paste all text. The only time to include attachments are when you have to attach images to show your social-media sharing (more info that below). Elise Erickson of Harold Ober Associates graduated from St. Olaf College and the NYU Summer Publishing Institute in 2014, and spent several months interning at Penguin’s New American Library imprint, Folio Literary Management, and Susanna Lea Associates before taking on her current position at Harold Ober Associates. She grew up in both Florida and Minnesota, but is quickly learning to love city life in NYC. Elise is passionate about the role and responsibility of the literary agent, especially being an advocate for authors. In addition to working with books, she currently assists in selling Harold Ober’s TV, film, and subsidiary rights, and is actively building a client list of her own. The first 150-300 words (i.e., your first double-spaced page) of your unpublished, completed historical fiction. You must include a contact e-mail address with your entry and use your real name. Also note your city of residence (i.e. — the city & state you live in, not your full address). Submit the title of the work and a logline (one-sentence description of the work) with each entry. Self-published memoirs are not eligible. Here are two new agents seeking clients. Serene Hakim (Ayesha Pande Literary) is actively seeking young adult (all genres but in particular: science fiction and fantasy with a unique hook, realistic YA with diverse characters), upmarket women's fiction, and anything that gives voice to those whose voices are underrepresented and/or marginalized. 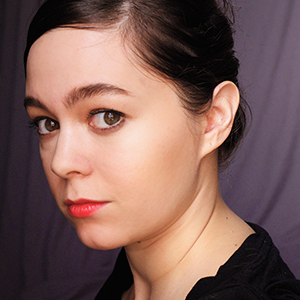 Elizabeth Copps (Maria Carvainis Agency) represents a wide range of genres from MG and YA, to adult contemporary + literary fiction, mystery, psychological thriller, women’s fiction, historical fiction, horror, and select nonfiction projects. Prior to joining Ayesha Pande Literary, Serene Hakim worked at Laura Gross Literary Agency in Boston. She has also interned at David Godine Publisher and Chase Literary Agency. Serene holds an M.A. in French to English translation from NYU and a B.A. in French and Women’s Studies from the University of Kansas. What she is seeking: Serene is actively seeking young adult (all genres but in particular: science fiction and fantasy with a unique hook, realistic YA with diverse characters), upmarket women's fiction, and anything that gives voice to those whose voices are underrepresented and/or marginalized. Stories dealing with the Middle East and the variety of immigrant experiences out there will definitely catch her eye. Intriguing female characters are also a huge plus. For nonfiction, she is seeking humorous and fascinating memoirs, and is particularly interested in LGBTQ and feminist issues. How to Submit: To submit a query, please use the query form on the Ayesha Pande Literary website: www.pandeliterary.com/queries. What she is Seeking: I represent a wide range of genres from MG and YA, to adult contemporary + literary fiction, mystery, psychological thriller, women’s fiction, historical fiction, horror, and select nonfiction projects. I’m an equal fan of hilarious stories as well as dark, gritty and sinister reads. How to Submit: Please send a query letter, a synopsis of the work, first 5-10 pages, and note of any writing credentials. Please email queries to mca@mariacarvainisagency.com. All attachments must be either Word documents or PDF files. Chuck Sambuccino, the editor of the Guide to Literary Agents, is running another "Dear Lucky Agent" contest. (There are two this month.) These contests allow writers to submit one page of their manuscript to be judged by an agent. The genre for this contest is memoir. There is no entry fee. Welcome to the 28th (free!) “Dear Lucky Agent” Contest on the GLA blog. This is a FREE recurring online contest with agent judges and super-cool prizes. Here’s the deal: With every contest, the details are essentially the same, but the niche itself changes—meaning each contest is focused around a specific category or two. 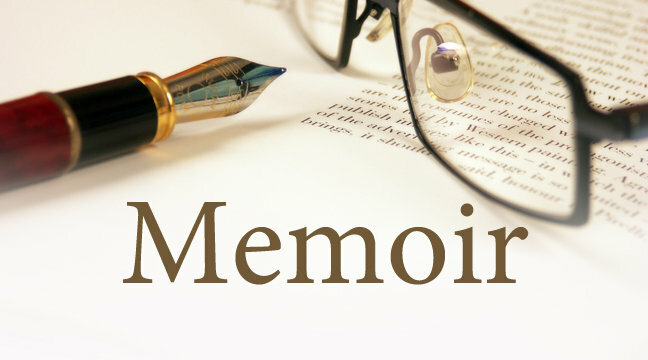 If you’re writing a memoir, then this 28th contest is for you! The contest is live through end of day, Saturday, Dec. 31, 2016. The contest is judged by agent Jennifer Wills of the The Seymour Agency. E-mail entries to dearluckyagent28@gmail.com. Please paste all text. The only time to include attachments are when you have to attach images to show your social-media sharing (more info that below). Jennifer Wills has five years of experience in some of the publishing industry’s leading literary agencies. She worked with publishers around the world as an assistant in Trident Media Group’s huge foreign rights department, and with domestic publishers as an assistant at Writers House (where, incidentally, she began her career as an intern). She joined The Seymour Agency in April 2016, where she has quickly moved up the ranks to associate agent. Jennifer has always loved helping fledgling authors become New York Times bestsellers and she’s ready to be a relentless champion for her own clients’ work. Jennifer is interested in a wide range of subjects and genres, and is actively looking to find some excellent memoir clients. The first 150-300 words (i.e., your first double-spaced page) of your unpublished, completed memoir. You must include a contact e-mail address with your entry and use your real name. Also note your city of residence (i.e. — the city & state you live in, not your full address). Submit the title of the work and a logline (one-sentence description of the work) with each entry. Self-published memoirs are not eligible. Memoirs are enjoying a resurgence in the publishing world. While biographies and personal histories have previously been reserved for well-known figures - political leaders, writers, artists - increasingly, this genre is opening up to ordinary people who simply have a story that might appeal to a wide readership. Here is a list of 231 agents looking for memoirs. These agents are, in most cases, also interested in representing other non-fiction. Read their submission requirements carefully. In the case of memoirs, agents frequently want a writing sample, just as they would for fiction. But, to be on the safe side, have an outline of your memoir prepared before you begin querying. For other non-fiction, a proposal is required. The proposal is a detailed chapter-by-chapter breakdown of your book which must be submitted even if your book is complete. Make sure your bio reflects your expertise in your book's subject. For a complete list of agents looking for writers in all genres see: Agents Seeking Clients. cover letter or attached as a separate document. Include your book proposal as a single Word attachment. submitting material simultaneously to other agencies." project, submission history, and information on competition. you may also include the opening chapter of your manuscript. of your proposal or novel into the text of your e-mail. Put "ATTN: Vanessa Robins-Query [Book Title]" in the subject line. agency.com In the email subject header, write: Michael/Title/Genre. You can expect a response in 4 to 6 weeks. eric@myersliterary.com For non-fiction queries, please include a few paragraphs on the premise of the book and about your own background. Also please include “non-fiction” in your email subject line. Beth Vesel Literary Agency Beth Vesel https://www.bvlit.com/submissions Please submit a cover letter detailing your idea, a complete outline, and the first 5 pages of your manuscript. NO ATTACHMENTS!